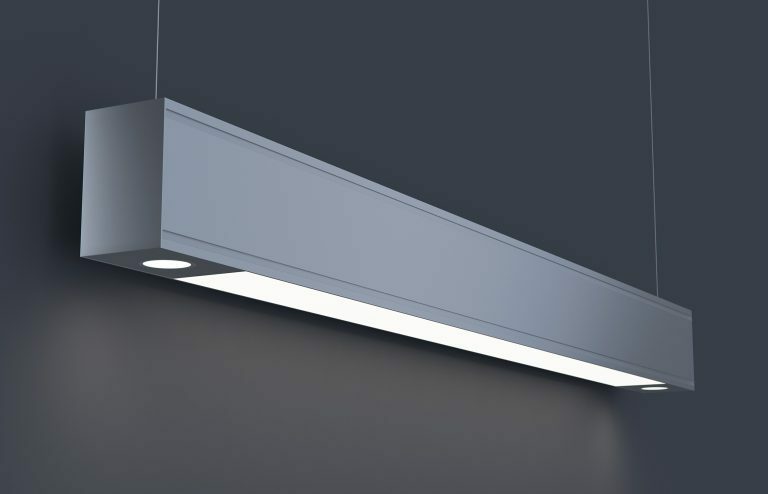 Linear, architectural luminaire with accent downlighting. Suspended, surface or wall mounted installation. For custom mounting consult factory.